The Best Burger. 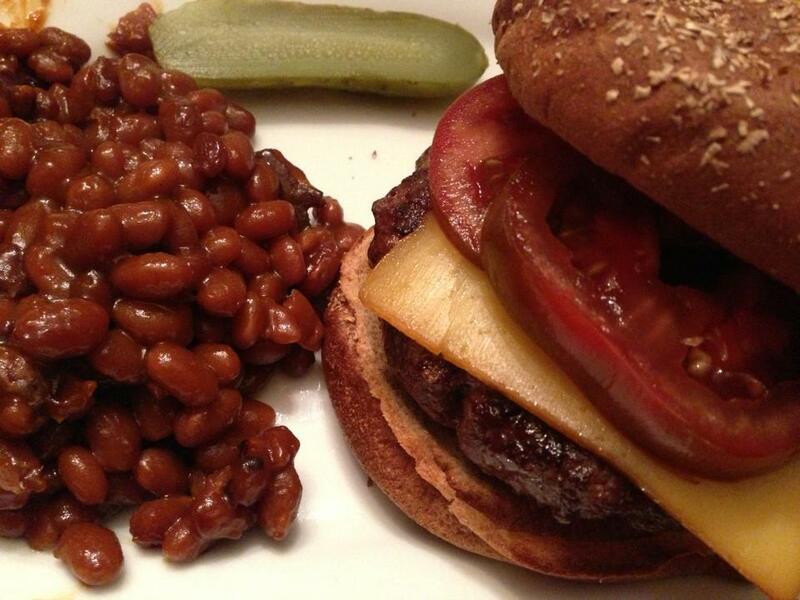 Anytime anyone mentions grilling, a tasty burger comes to mind! Whether you are a fan of beef, chicken, venison, or any other ground meat, a grilled burger is a fabulous way to enjoy summer all year ’round! 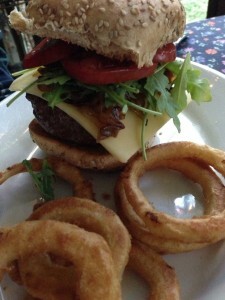 I’ll show you how to make The Best Burger! My favorite national burger chain got its start locally here in Virginia: Five Guys. The Five Guys burger chain became extremely successful almost overnight. 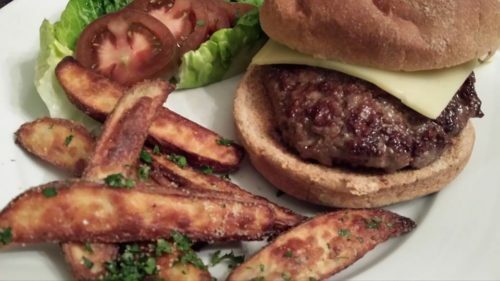 With a very simple menu, just basically burgers and fries with a few other additions, the quality and consistency is easily maintained. 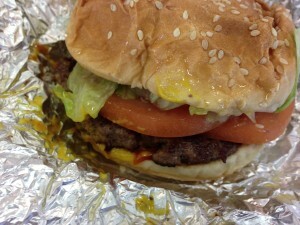 You know your Five Guys burger will taste exactly the same no matter which location you visit. The hand-cut fries, with each potato shipment’s origin noted on a chalkboard daily, come plain or with Cajun seasoning. One day, potatoes from Idaho, another day, potatoes from Iowa. I don’t order the fries much anymore. They are a treat once or twice a year. Burgers don’t require a whole lot of finesse. My only “secret” is to keep from overmixing the ground meat. I think the best burgers have few additions – maybe a little salt and pepper. Lightly form meat patties and chill them a bit before cooking. 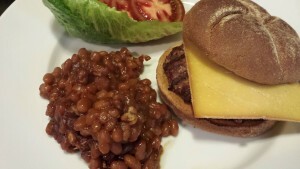 Grill over high heat on your barbeque and you’ll get a tasty burger. Don’t press down on the burgers with a spatula or you will risk drying them out or catching them on fire from escaping juices. Family wars have started over burger meat preference, as well as on which burger buns to serve them. Toasted burger buns? Sure. Some folks like to butter their burger buns, too. Others prefer to go bun-less. And then there is the discussion whether to cook over gas or real charcoal. Outside, we have a nice gas grill that does the job. 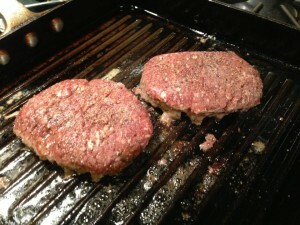 In colder weather, I tend to grill burgers inside on our professional range’s grill, or in a grill pan. 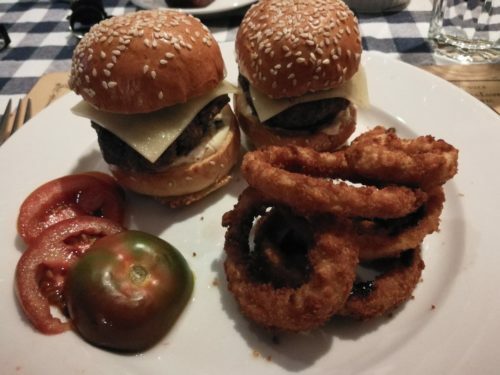 What to serve with the burgers? 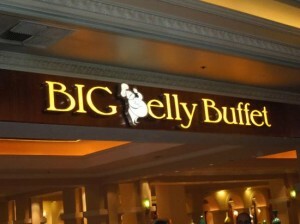 How about my Honey Mustard Baked Beans, my Creamy Coleslaw, or my Dill Potato Salad with Greek Yogurt Dressing? A nice green side salad will please your “healthier” diners. And of course, potato chips, regular or sweet potato fries and battered onion rings are favorite accompaniments to burgers. What types of toppings do you like? Condiments such as mayonnaise, mustard, and ketchup are pretty popular with most Americans. Add some sweet or dill relish. What about lettuce leaves, sliced tomato, or grilled or raw onions? Do you have a favorite cheese? Havarti, American, cheddar, Monterey Jack, and smoked Gouda all work well for me. I don’t usually melt the cheese on top of the burgers prior to serving — I just add the slice of cheese when assembling the burger. Also, I’m not a big fan of bleu cheese melted on top of a burger, but stuffed inside — it’s heaven! Try different greens such as arugula or baby Romaine instead of the usual green leaf or iceberg lettuce. Use a nice thick slice of ripe beefsteak tomato! 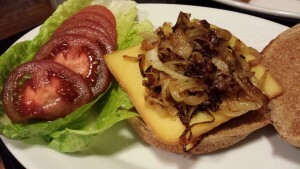 Grill some onions for that steakhouse burger flavor. See below for my favorite Secret Sauce for burgers. 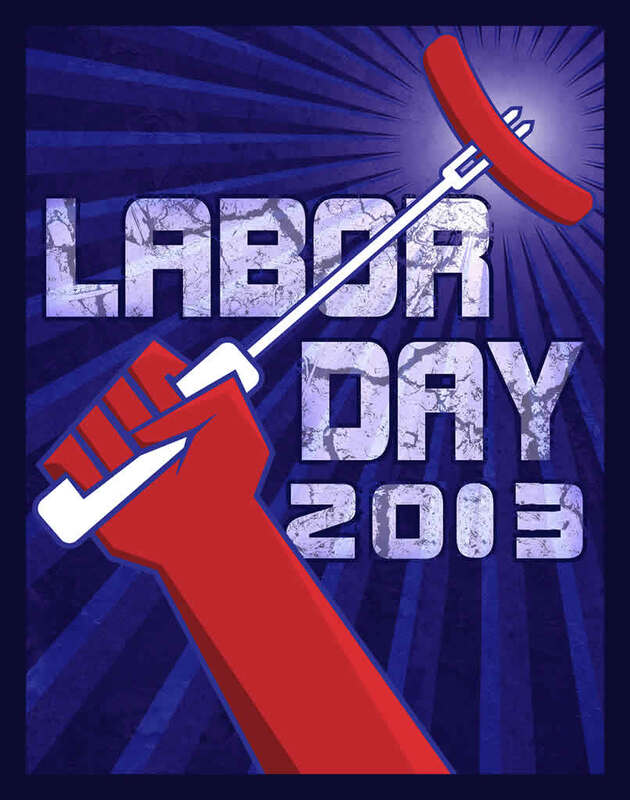 And remember to serve a whole or quartered pickle on the side! 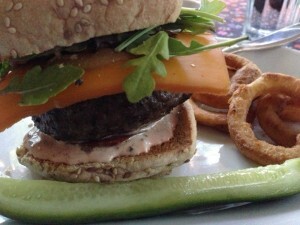 Another favorite meaty burger is a nice ground lamb burger. 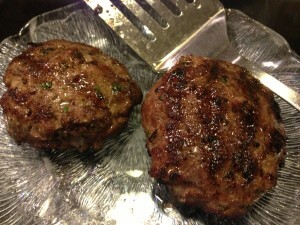 Mix some minced sweet onion and chopped fresh parsley into the ground meat before cooking. 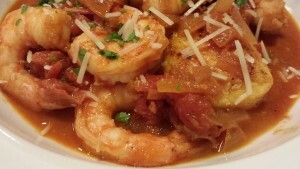 Serve with a nice minty yogurt sauce or a garlic mayonnaise. 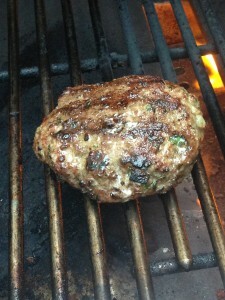 For the recipe, check out my Grilled Lamb Burgers over Lentils with Minty Yogurt Sauce. 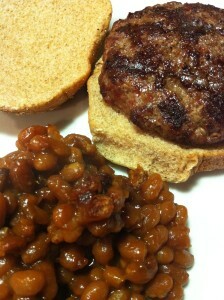 Swap out the bed of lentils for a bun, and you’ve got a tasty burger! 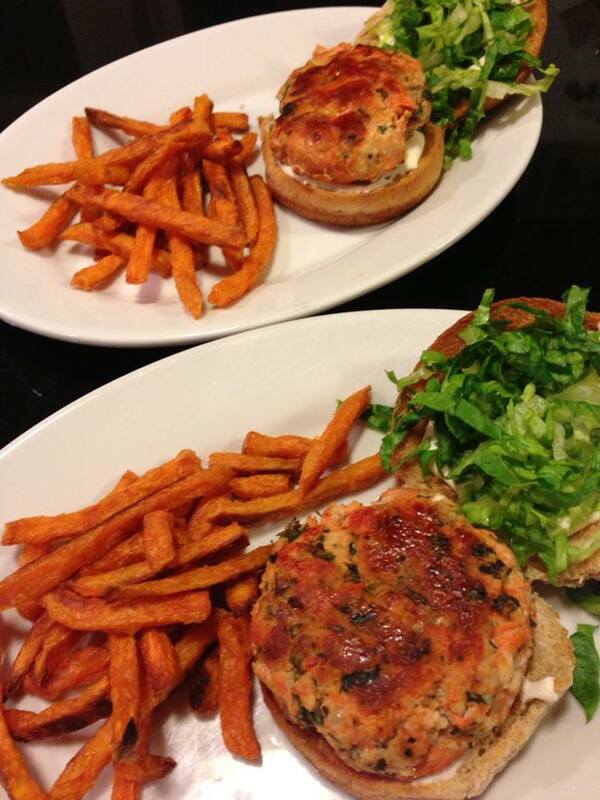 Salmon or tuna burgers will please the seafood lovers. My favorite salmon burgers have feta cheese and fresh spinach mixed in. See my Sockeye Salmon Burgers for a tasty salmon burger! Just enjoy your own Best Burger. 1. Heat your barbeque grill to high heat. 2. 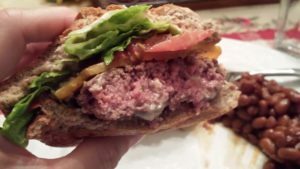 Separate the ground burger meat into four equal pieces, 1/4 lb each. 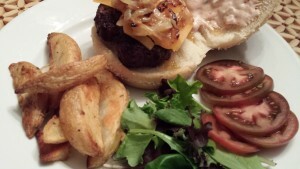 Lightly form each piece into a burger, taking care not to handle too much, but enough that the burgers won’t fall apart. Put a divet in the middle of each burger with your thumb so they don’t puff up. Sprinkle with salt and pepper on each side of each burger. 3. Grill each burger for about 3 – 4 minutes on each side for medium. More for well done, and less for medium rare. Watch your burgers to ensure they don’t burn. Your grill may cook hotter or cooler so adjust the cooking time appropriately. 4. Remove the burgers from the grill and let them sit on a plate for a few minutes to rest. 5. Place each burger on a bun. 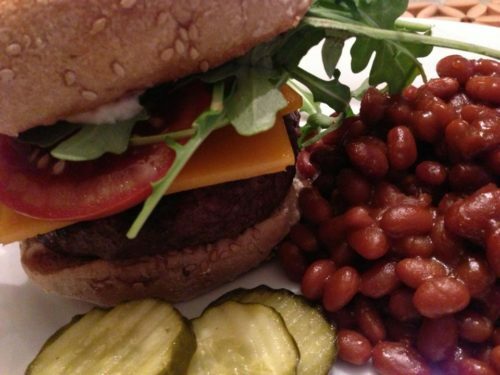 Let guests assemble their own burger with their favorite fixin’s (see below). Serves 4. 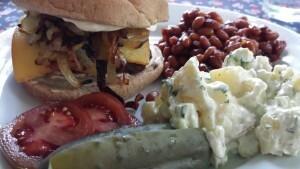 Offer the burgers with a side of French fries, onion rings, my Dill Potato Salad with Greek Yogurt Dressing, or my Honey Mustard Baked Beans. 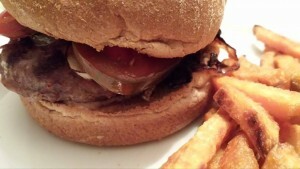 My Special Sauce is a tasty condiment to accompany your burgers. Offer a big platter of fixin’s for your guests to top their burgers. 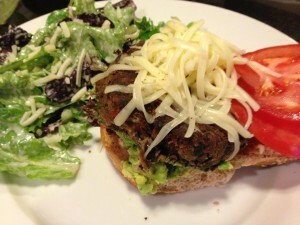 For vegetarian burger enjoyment, take a look at my Spicy Black Bean Burgers recipe.